omid (mashhad, Iran) on 28 July 2017 in Architecture and Portfolio. Splendid image of the stained-glass window. wow !!! Brilliant capture !!!!!!! Absolutely glorious, clean crisp vibrant colours, and a wonderful deep black contrast. A superb window. Excellent color. A fine exposure of this colorful window. It makes an excellent photograph. Very beautiful colours and patterns! Fantastic! Quel vitrail et vue quelle couleur et présentation superbe. Fine and colorful detail image. Un très beau vitrail ! Gorgeous colors and patterns. This is just magnificent! A precious and hypnotic image ... 5***** Great shot! 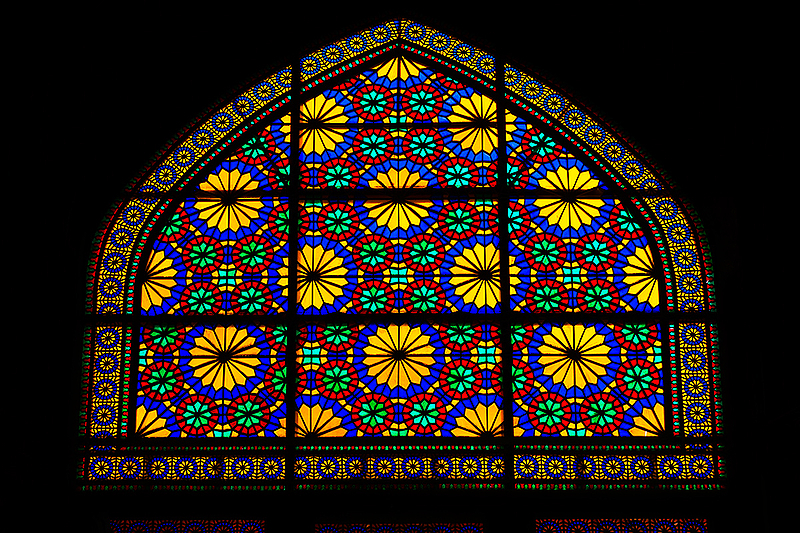 A gorgeous window with these brilliant colors. Preciosa vista de vitrales, de hermosos detalles y colores.